About three minutes into my daily walk yesterday I saw a worm struggling to get out of a small puddle of water and back into the dirt. I stopped, walked over to pick him up, and carefully escorted him to safety on the other side of the street. I said my usual, “Good luck to you!” and continued on my way. And then… about five feet later another three worms magically appeared, asking for my help. Needless to say, I spent most of my walk happily assisting these sweet soft bodied animals and imagining wondrous places where my inner 3-year-old engaged in lengthly other-worldly conversations with the worm kingdom. I was deeply grateful for this time of play on my walk. By infusing regular fun-time into my life, I am a happier person. 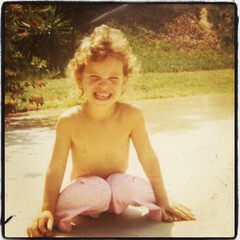 When I give in to the urges of the inner child, I enjoy life more. I am more centered, grounded and able to access my creative skills in my work designing healthcare and wellness spaces. Over the years, I’ve seen doctors and wellness practitioners instill a sense of play into the decor of their healing spaces. And I highly recommend it. 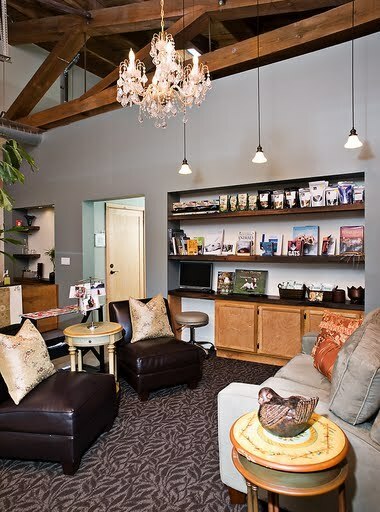 For example, my Veterinary client had to have a pineapple chandelier in the reception area of her new Veterinary clinic. And even though her more practical husband didn’t think this was appropriate, I encouraged it. This one element made the space more personal and gave the area a nice flair. Your health or wellness space doesn’t have to be so serious. In fact, when you bring in fun design elements, you create opportunities for conversations between patients and staff, which lightens the mood. This one piece of design advice (when taken) can go a long way in reducing anxiety and building relationships with your community. By creating a fun atmosphere you and your team will be happier at work. Get the help you need to start redesigning your clinic, wellness room, healing space, or other healthcare setting now.